Welcome to South Tulsa Vision Development Center in Tulsa. Dr. Ford and our team strive to offer the best in vision therapy services. South Tulsa Vision Development Center is an optometry clinic specializing in pediatric vision, vision therapy, and vision rehabilitation. Vision Therapy is a series of supervised vision training activities, which correct vision problems that glasses or contact lenses cannot fix. South Tulsa Vision Development Center is dedicated to the hundreds of children who suffer from undiagnosed vision problems. At South Tulsa Vision Development Center, we commit ourselves to serving all children whose visual system make it difficult for them to read, learn, and remain on task; those facing the unique challenges of living with lazy, crossed, or wandering eyes; and adults whose compromised visual systems interfere with their quality of life. South Tulsa Vision Development Center wants to make "eye" can't into "eye" can! Vision Therapy is a series of prescribed exercises done in the office for visual problems that cannot be helped with glasses or contact lenses alone. Vision therapy is similar to physical therapy for the eyes, during which vision disorders are corrected to improve patients' visual function and performance. Vision therapy strengthens the connection between the eyes and the brain, creating permanent lifelong changes. 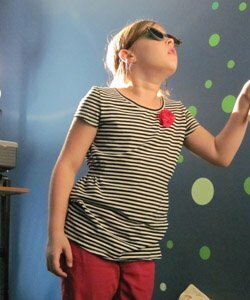 Vision therapy treats problems children have when using their eyes up close, especially at school. Eye tracking, eye teaming, and eye focusing problems make it impossible for children to read, learn, and remain on task. Vision therapy also corrects lazy, crossed, or wandering eyes. Eighty percent of what we see, comprehend, and remember depends on the visual system, therefore, the benefits of vision therapy affect every aspect of life, not just school performance. Dr. Ford is an established optometrist who is board certified in effective vision therapy procedures. Whether working with a child or an adult, Dr. Ford offers comprehensive vision services and specialized care that is tailored to each individual patient. With extensive experience in numerous forms of vision therapy, Dr. Ford has the expertise and resources needed to create a unique treatment plan to increase the quality of vision through simple, non-invasive visual exercises. If you have been previously diagnosed with visual problems like amblyopia or crossed eyes, or are currently experiencing visual difficulties like double or reduced vision, contact Dr. Ford today. During your first appointment at South Tulsa Vision Development Center, Dr. Ford will complete a comprehensive eye exam/consultation to make a diagnosis. 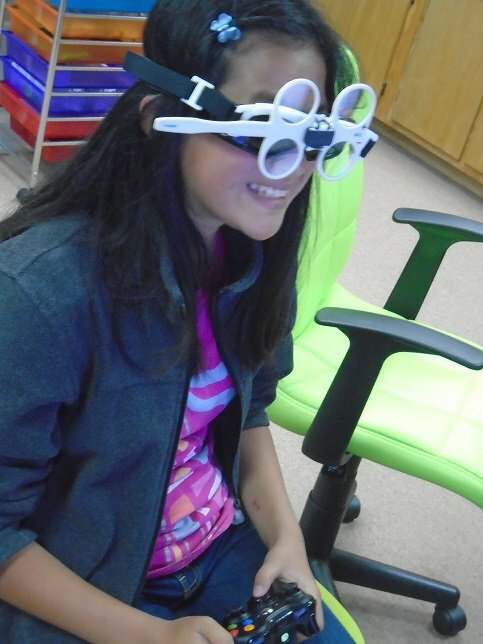 Dr. Ford will later perform a binocular/developmental eye evaluation in order to analyze your vision needs. Lastly, Dr. Ford will set up a conference to discuss results and customized recommendations for vision services based on your individual condition. Call us at (918) 949-4002 today or schedule an appointment online.